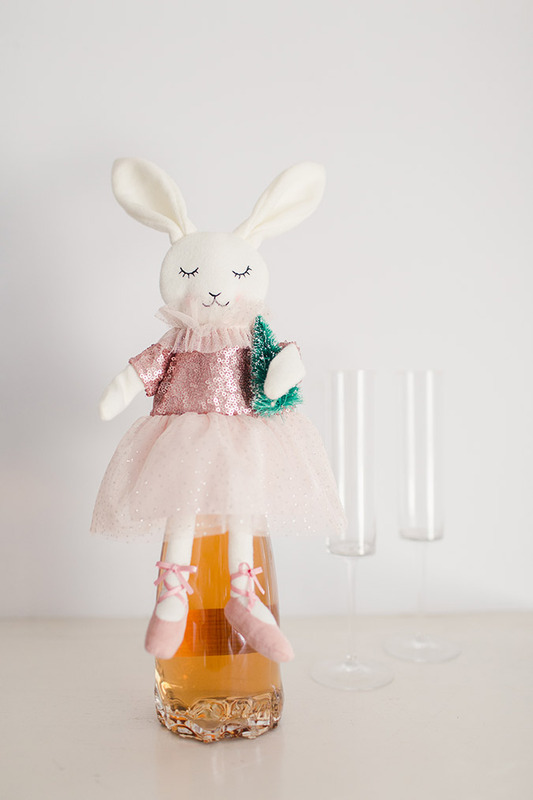 When it comes to hostess gifts, we’re huge fans of this adorable bunny wine cover from Lauren’s LC Lauren Conrad Collection. Your next bottle of vino will be dressed to impress. The Sweet Laurel cookbook is one of our go-to hostess gifts this year. Not only is it filled to the brim with delicious and wholesome desserts, but the photos will have you drooling as well. If you plan on arriving to your next get together with a bottle of wine, why not place it in a gorgeous reusable tote like this one from The Little Market? The bow is our favorite detail! We’ll take one of each, please! These adorable tea towels from Terrain are sure to brighten up any hostess’ kitchen. This treat tray from Lauren’s latest LC Lauren Conrad collection is the perfect way to display finger foods and desserts alike. If there are two things that we love, it’s a good cheese board and anything agate. Luckily for us, this cheese board from Anthropologie is the most beautiful serving dish we’ve ever seen. Sip, sip, hooray! When it comes to fun gifts, Ban.do has got you covered. This sparkling disco ball tumbler will be the life of the party. While The Little Market has a plethora of hand-curated gift boxes on their website, this Touch of Gold Mug Gift Box is perfect for the hostess with the mostest. Packed with handmade mugs that empower female artisans at Chabi Chic in Morocco, this box has everything your hostess needs to sip in style. If your favorite hostess is all about decking the halls, this champagne Christmas ornament would look perfect on her tree. Why not add a real bottle of wine too? There’s nothing like bonding over a silly game during the holidays, especially if it includes pop music references. This card game from CB2 is bound to bring the laughs to your next soirée. What’s your go-to gift for your favorite hostess? We’d love to hear your suggestions in the comments below!